For the fifth race of the Dixie Shootout series, we were back at MCQMRA in Nashville, TN, and it was HOT! 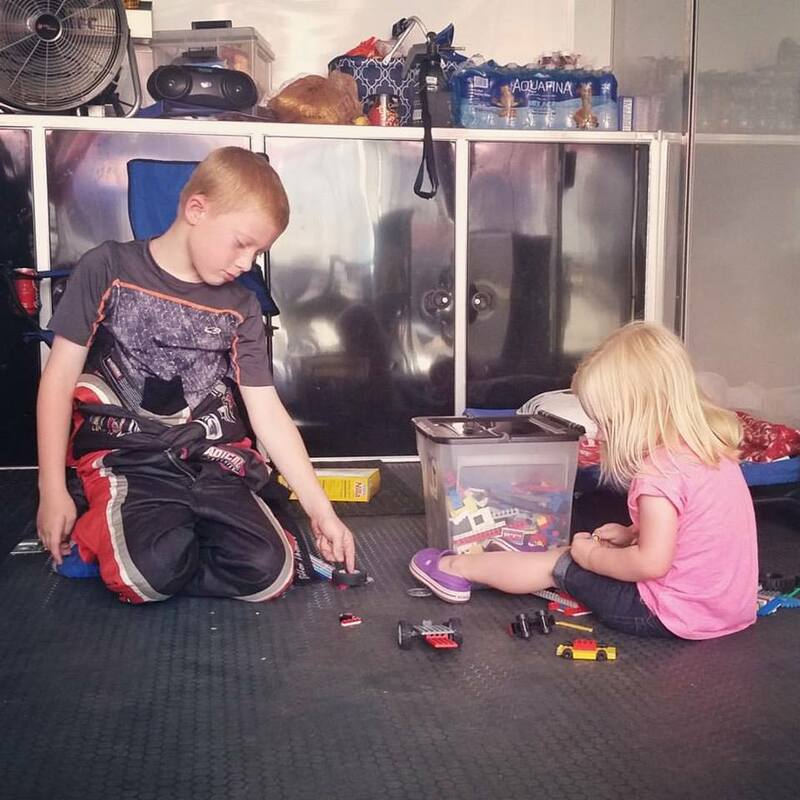 Dillon and Caroline spent lots of time hanging out in the trailer in front of the fan trying to stay cool. In Jr Animal, Dillon qualified 4th and with the invert, he started on the outside pole. At the beginning of the race, he got shuffled back to 5th. The race went green from start to finish, so he ended up just riding it out to finish in 5th place. In the Jr Honda race, he qualified 7th in a very tight field. He was running in 5th when 2 cars ahead of him got together and he had no where to go, ending up "inadvertently involved" in the wreck after the initial contact. Unfortunately, a bad call sent us to the back of the field with just 4 laps to go. Dillon finished 9th.